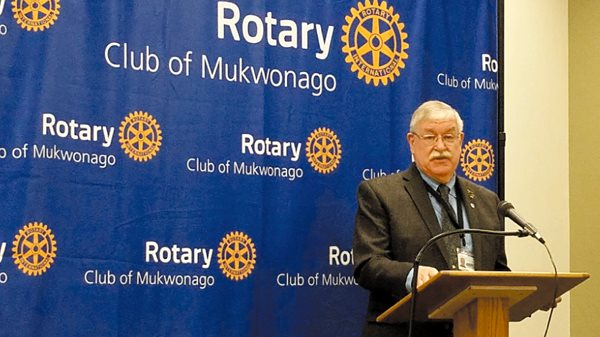 When the Mukwonago Rotary Club needed an eye catching backdrop for their 6th annual State of the Village Breakfast where they would highlight their past achievements and future goals, they contacted Blue Fuel Marketing. After discussing their needs and budget, it was determined that an 8′ x ‘8 custom collapsible banner was the right solution. At the event, other Rotary clubs took notice and expressed an interest in getting a backdrop for their groups. Delighted with their experience and final product, the Mukwonago Rotary Club graciously referred them to Blue Fuel Marketing.